Apply to the UCLA Teacher Education Program by December 1, 2017 for admission to the 2018-19 academic year for the Two-Year Graduate Program. Want help drafting your Statement of Purpose for the PLI application? Please come to this workshop to work on your essay. Online info session for experienced educators (5+ years teaching) interested in applying to the Principal Leadership Institute for the 2019-20 academic year. 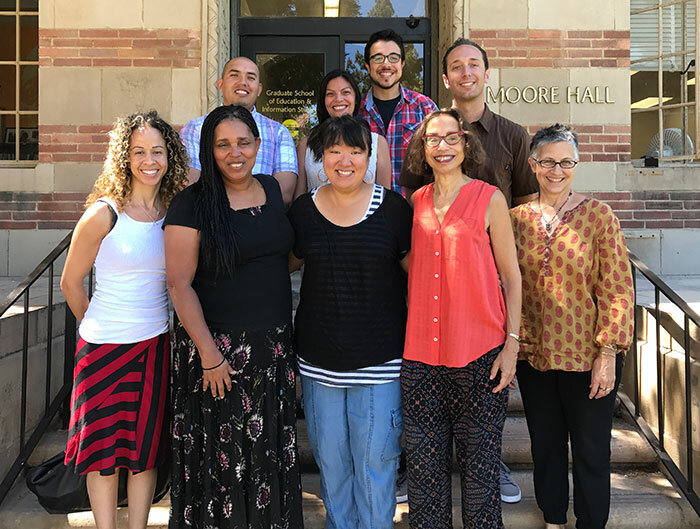 Information session for experienced educators interested in applying to the UCLA Principal Leadership Institute for the 2019-20 academic year. Information session for people interested in the Joint Mathematics Education Program for UCLA undergraduates to become math teachers. Info session for experienced educators interested in applying to the UCLA Principal Leadership Institute for the 2019-20 academic year. During this four-day workshop we will deepen our focus on the principled ideas underlying the development of children’s mathematical thinking in grades K-5. Requirement: participants have already attended a 4-day CGI Workshop. Become a Writing Project Fellow in our free four-week summer writing workshop for K-University teachers and administrators. Application deadline is March 18, 2019. Four Saturday workshops for teachers as they help their students reach grade-level literacy in both Spanish and English.